One of the best ways to learn is by looking at the work others have done. We can see different ideas in action which causes us to think about how they were built and explore what we might do different with the same content. Here’s an example from a recent community challenge. 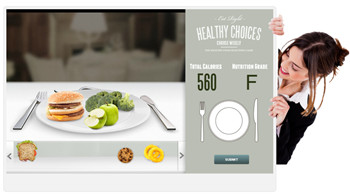 The challenge was to create an interactive slider for elearning. 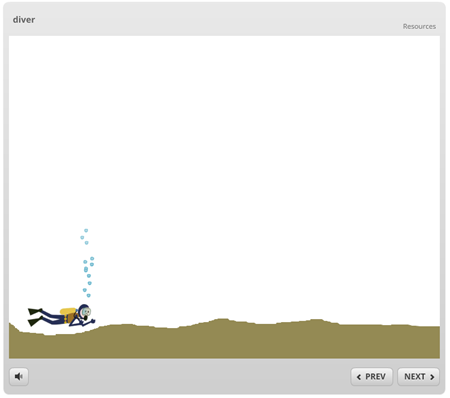 Melissa Milloway created a demo where you dragged a scuba diver down to explore the ocean. To me, this is the value of routinely looking at elearning examples. Melissa shared her idea and I was able to iterate from it which allowed me to try something new and in turn practice using the elearning software. One of the challenges is finding good examples because many of the good ones are locked behind corporate firewalls. However. rere are a couple I’ve seen recently. 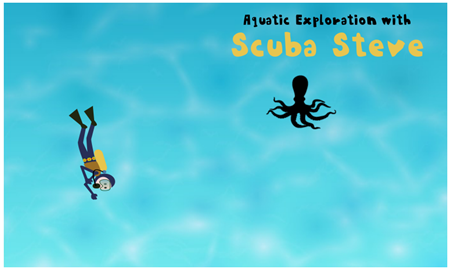 This one from SpongeUK is a proof-of-concept demo to show a gamified course in Storyline. I like the light graphics and course structure. And to tell you the truth, if I wasn’t told this was created in Storyline, I don’t know if I would have guessed it. 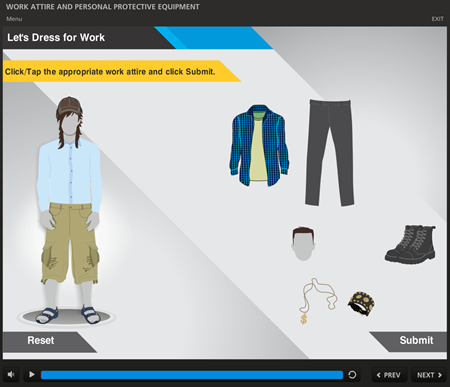 Here’s another one on choosing the appropriate safety attire from 42 Design Square. I’m also fond of the weekly challenges because they are designed to be mini examples and not big courses. They’re like appetizers, just enough food for thought without being overwhelming. And with new ones every week, there’s plenty of inspiration to be had. I love seeing what the community Plus, there are new ones every week. So there’s always something new to see and inspire ideas. 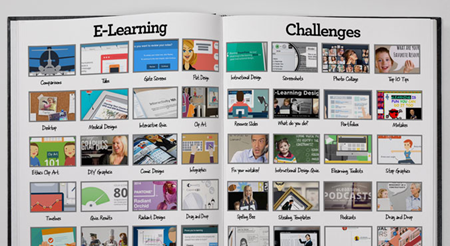 Did you know that last year there were over 750 elearning examples submitted to the weekly challenge? 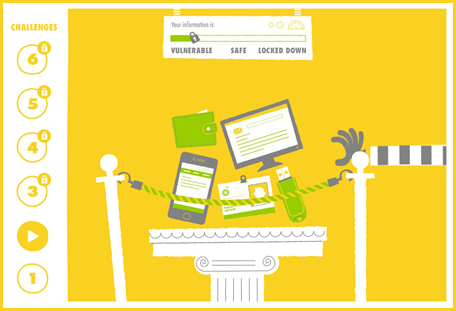 You can stay on top of the elearning challenges and the recaps here. In addition, the community has a growing list of different elearning examples. We add to them regularly. 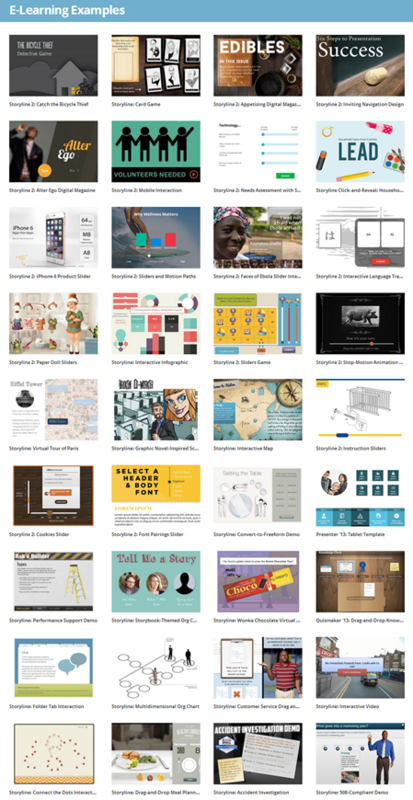 Between some of the examples on this blog, the elearning examples in the community, and the examples posted in the weekly challenge, there’s close to a thousand elearning examples that cover a diverse range of subject matter and interactivity. That should be more than enough to help fuel your imagination. The key is to replicate the ones you like and then challenge yourself to add something new to it. Hope you all have a happy holiday and happy new year! That was nicely written. I really enjoyed your post. It is very useful and helpful article at Over 800 E-Learning Examples To Inspire Your Course Design and look forward to reading many more. I wish you the best of luck on your blogging journey. Nice article. I enjoyed reading and is very informative for e-learners.